Is it possible to have one invoice with 3 different due dates, and 3 different due amounts? So an order that totals $1000 would have one invoice but due dates of . Receivables lets you define standard payment terms for your customers to specify the due date and discount date for their open items. Payment terms can include a discount percent for early payment and you can assign multiple discounts to each payment term line. 1. Navigate to the Transactions window. 2. Enter general information for this invoice. See: Entering Transactions. 3. Enter the name of your split payment term in the Terms field, or select this payment term from the list of values. 4. Save your work. 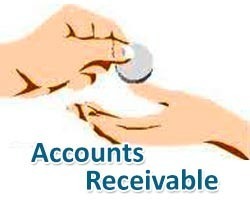 If you are ready to complete this invoice, see: Completing Transactions. Enter a line number for the installment term that you are defining in the 'Seq' field. Enter a higher number for each installment term with a later due date. enter '1' in this field for the first line and '2' for the second line.